and despots from all over the world. who supply the means of oppression. Jez Sings Things -You Get Me? In light of recent news stories and pronouncements by Foreign Secretary, William Hague anticipating intervention in Syria, Greater Manchester Stop the War is mounting a protest against intervention in Syria. We will be collecting donations for Syria Relief. Her partner Gemma has suggested that people wear red to remember her on Critical Mass. It was her favorite colour. Ethel Carnie’s ‘Miss Nobody’ is believed to be the first published novel in Britain by a working-class woman (centenary date 4 Sept 1913). She was a mill girl, brought up in Great Harwood near Blackburn. It’s a free event and fine to just turn up on the day. With readings, talks and song and a display of materials relating to Ethel’s life. We will also be launching a new centenary edition of Miss Nobody (1913). 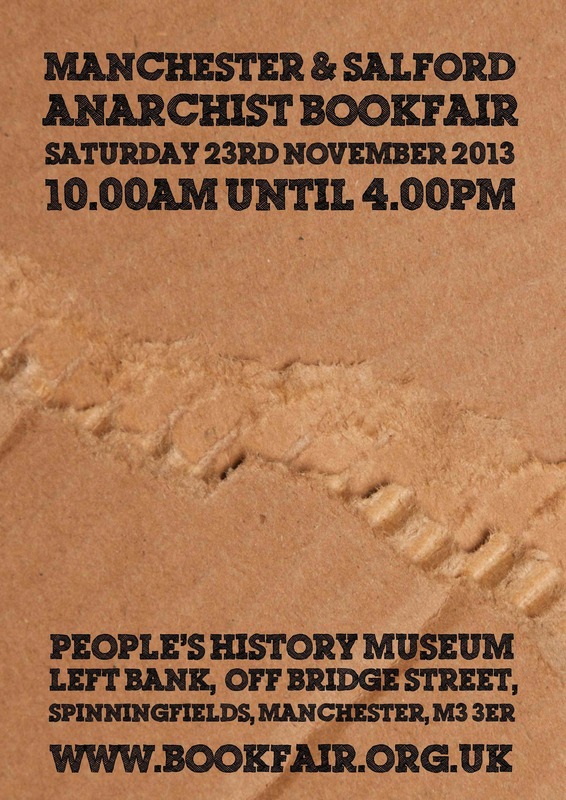 Anti Capitalist Roadshow features Leon Rosselson, Roy Bailey, Peggy Seeger, Jim Woodland, Sandra Kerr and Janet Russell. 7.00pm Bridge 5 Mill Tickets £10 (£8 concessions). Cameron and his cronies are pushing hard for an attack on Syria. This isn’t because of any genuine concern for the victims of Assad’s regime or support for freedom for the Syrian people. Instead the reason for the involvement of the UK and its allies is a cynical desire to exert greater control over the region. An attack will have disastrous consequences for the people of Syria and beyond. Some of the weapons used by UK forces will be supplied by the EDO factory. From September 9th the world’s largest arms fair will be taking place in London. Representatives of EDO will be peddling their wares to dictators and despots from all over the world. Riot control methods: What’s in your riot’s menu? How to deal with them? – Çağrı Mert Bakırcı part 1. The Turkish original of this article, “İsyan Kontrolünde Kullanılan Yöntemler ve Biyolojik Etkileri”, signed Çağrı Mert Bakırcı, was published on June 16th, 2013 in Evrim Ağacı.org. The content of the article is as follows: Introduction, The chemicals used in riot control and their biological effects, Pressurized water, Water cannon, Armed vehicles, Scent-based weapons, Pepper gas, Tear gas and its varieties, The expiration dates of gases and their effects, Why we feel that the effect of the gases change/increase, How to protect oneself, Batons, Conclusion. We will divide the article into parts and therefore restructure the sections for presentational reasons. This text covers the sections below, the rest will be available soon. 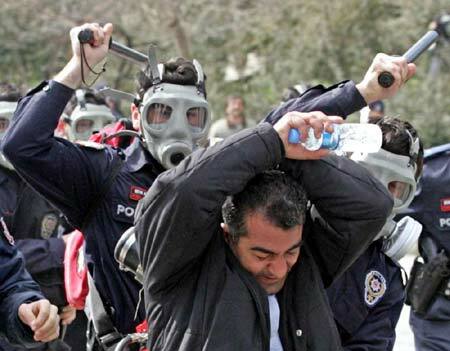 The uprising ignited by the Gezi Park protests resulted in millions of people being exposed to riot control methods such as baton violence, pepper gas and pressurized water. But there are plenty of unanswered questions: Which gases were used and how harmful are they? Is it possible that the orange gas was used? Which chemicals were mixed to pressurized water? What is to be done when one’s exposed to any of these? Riot control refers to the measures used by police, military, or other security forces to control, disperse, and arrest civilians who are involved in a riot, demonstration, or protest. If a riot is spontaneous and irrational, actions which cause people to stop and think for a moment (e.g. loud noises or issuing instructions in a calm tone) can be enough to stop it. However, these methods usually fail when there is severe anger with a legitimate cause, or the riot was planned or organized. Law enforcement officers or soldiers have long used less lethal weapons such as batons and whips to disperse crowds and detain rioters. Since the 1980s, riot control officers have also used tear gas, pepper spray, rubber bullets, and electric tasers. In some cases, riot squads may also use Long Range Acoustic Devices, water cannons, armoured fighting vehicles, aerial surveillance, police dogs or mounted police on horses. Officers performing riot control typically wear protective equipment such as riot helmets, face visors, body armor (vests, neck protectors, knee pads, etc. ), gas masks and riot shields. However, there are also cases where lethal weapons are used to violently suppress a protest or riot, as in the Boston Massacre, Haymarket Massacre, Banana Massacre, Hungarian Revolution of 1956, Kent State Massacre, Soweto Uprising, Mendiola Massacre, Bloody Sunday (1972) and Tiananmen Square Massacre. Within the scope of this article, we will not deal with lethal weapons but focus only on the chemicals that may still lead to loss of biological integrity and death. Many types of chemicals are used all around the world in riot control. While not all of them are lethal weapons, some do lead to death and are therefore monitored and prohibited by international law. We would like to start with a remark. Below, we will talk about various chemical gases. In fact, almost none of these are actual gases, they are all aerosols. In order to avoid confusions, we will still call them “gas”. A truncheon or baton (also called a cosh, billystick, billy club, nightstick, sap, blackjack, stick) is essentially a club of less than arm’s length made of wood, plastic, or metal. They are carried for forced compliance and self-defense by law-enforcement officers, correctional staff, security-industry employees and (less often) military personnel. Other uses for truncheons and batons include crowd control or the dispersal of belligerent or non-compliant targets. 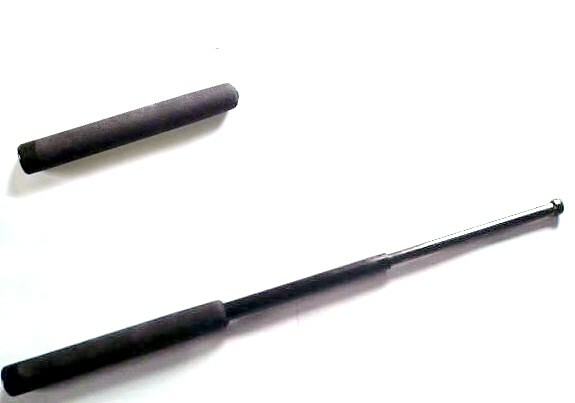 In general, non-expandable straight stick is used in police interventions. It is produced of polyurethane plastic and contains a fiber stick of 10 mm radius. Its length is 65 cm and its handle is 13 cm long. It is 3 cm thick. Clearly, these numbers are approximations and they can vary from type to type and from producer to producer. There is also the T-baton which has an additional side-handle. As can be seen in the images, the batons can be made of wood or metal too. Besides these, there exist expandable (or telescoping) batons made of metal. A baton strike, depending on its impact, can easily break your bones or seriously damage your organs (like your eyes, nose, mouth, chin or teeth) as well as resulting in temporary bruises. The immediate result of a strong baton strike is the destruction of the capillary vessels feeding the tissues at the point of strike. As a result, a small amount of blood fills into the tissues and lead to reddening and then to a purple bruise. In later days, this purple area becomes blue, then yellow or green, and finally the tissue is fully recovered. This change of color is due to density changes in hemoglobin, methemoglobin and sulfhemoglobin within the vessels. At least 5 grams of hemoglobin in 100 mm blood is needed to trigger a typical bruise. In anemic individuals the bruising may delay as the amount of hemoglobin is positively correlated to the speed of bruising. There can be tingling and ache in the recovery period. If the impact is strong, more serious problems may arise. Hence, if you feel that your experience is abnormal, we recommend you to get medical support as soon as possible. Put ice cubes on the area for at least 10 minutes. This would help to stop or slow down the bleeding in the vessels and thereby you would be able to reduce the bruises. As known, water of high pressure produces a non-point impact and can help to disperse protesters. An average water cannon can carry 8000 liters of water and can spray water at a speed of 15 liters per second. Therefore, a nonstop spraying in 10 minutes would empty its tank. The important point here is that a focused spraying of a liquid in such speed can seriously harm bodily organs. Therefore the operator should target at the feet or the legs of the protesters. Yet, as is seen in Turkey, security staff does not worry about such “technicalities” and target at the protesters’ heads or chests. Such practices push protesters back severely in such a way that it even rolls them over. The primary effects of such a strike are heart attacks and neck fractures. Moreover, if pressurized water hits the eye, it can cause loss of sight or blindness. Therefore, usage of water in riot control is not as innocent as initially thought. To avoid such effects, the responsibility is on the security forces. In case police forces are not properly controlled, those who are within the range should come nearer to the water cannon in order to pass the minimum range. (The range starts by 1 meter away from the vehicle.) Alternatively, the protesters should use obstacles or hide behind an object to reduce the impact. Otherwise, they can be subject to permanent damage. There is an essentially important aspect of water usage in riot control: The water sprayed from water cannons is not necessarily pure water. Sometimes, chemicals are added to the mixture. These chemicals are acid and, as we will explain in further on, their effect is similar to pepper gas. Therefore, it is not strange that the sprayed water results in reddening, dermatitis and infections. The critical issue is the portion of chemicals in water, because increasing the amount of chemical can result in serious and permanent damage in individuals. Some micro-particles can also be added to the water mixture to increase the corrosive effect. Like small sand particles, these micro-particles may result in cuts or corrosion in the skin. Hence one should not consider pressurized water as harmless. In the next section, we will take a closer look at water cannons and examine other armed vehicles used in riot control. I’m not saying “Don’t unionize.” Do it, but do it in your spare time. The Turkish original of this article, “Sendikalı olma demiyorum hobi olarak yine ol!”, signed F.Serkan Öngel, was published on August 4th, 2013 in Birgün newspaper. For our English-speaking audience, we prepared a shortened translation of the article. The Ministry of Labor and Social Security takes its power to violate labor rights from the laws and regulations introduced by the military intervention on September 12th, 1980. One of the most important of these regulations is the issue of syndicate thresholds, which gives the state a tremendous power to intervene in the relationship between employer and employees. The law issued after September 12th restricted the right to strike for the collective agreement process and prohibited any other type of strikes. And then introduced thresholds for competency to collective agreement. The labor unions that can make collective agreement would be decided by the Ministry. The AKP government enthusiastically welcomed this anti-democratic practice and adopted it with joy. This is the mentality underlying the recent Labor Unions and Collective Agreements Law, effective by November 7th, 2012. The direct result of this law is the robbery of the right to collective agreement. By 2018, nearly half of the registered workers will not be able to make collective agreements, even if s/he became involved in a labor union. This new law is far beyond the 1980 policies. Where are the Labor Unions? By the Gezi Park protests, a public demand for general strike came out. Suddenly, everyone focused on labor unions. “Where are the labor unions?” This question was the reaction towards the unions. It is nice that people, who typically are not conscious that unions are the solidarity and unity organizations of the workers (ie. themselves), who see no other choice other than submission to their boss, who cannot dare to show solidarity to their fired colleagues, who prioritize competition over solidarity in their workplace, seek for unions all of a sudden. However, the problem is that in a society where 60% of the population takes part in the wage labor, unions are seen as an external agency. It is as if unions are some superheroes waiting somewhere for a public call. In fact, any place where unity and solidarity transform into struggle for rights is the real ground for unionization. The basis of this ground has been destroyed by the organizational changes in the production and management strategies. 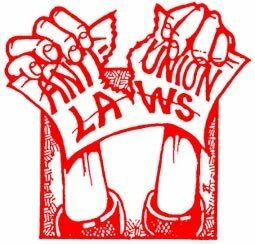 While laws tied the hands of labor unions, the union movement imprisoned itself within legal boundaries. Labor unions regressed dramatically. Being a union member became an exception. The state tried to tame the unions so that they would be compatible with the interests of the capital and the state, so that they are broken off from the working class. This was mostly successful. As a result, while around half of the registered workers were unionized before 1980, this number was reduced to 20% in the 80s, then to 10% in the 90s, and finally to one-digit numbers by 2000s. 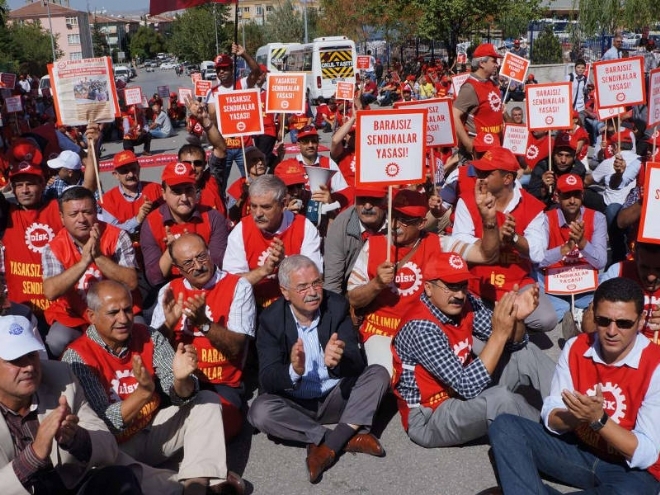 The new law mentioned above removes the notary requirements [see Labor Rights in Turkey] and thereby makes unionization easier, but makes the right to collective agreement completely out of question, therefore practically forbids strikes. Unionization becomes a pure hobby for workers after this reconstruction. The logic is to increase the number of members of labor unions (as a parameter of democratization) while at the same time making them ineffective. However, all these attempts will fail as can be seen clearly in the uprising of the non-unionized masses. The portion of labor in the national income decreased from 52% to 30% in the period 1999-2012. In the same period, the numbers of workers who practiced collective agreement fell from 11% to 5.5%. It is obvious that there is a correlation. This picture shows that the bells toll for the working class. It is possible to say the blue-collar workers are hardly kept in the factories1, and the June uprising is an indicator of this. 1 Reference to the statements of PM Tayyip Erdoğan who claimed that he hardly keeps his 50% [of the population] at home during the Gezi protests. Una news insolita a dire il vero, ma a quanto pare il Governo Tedesco è convinto che la tecnologia TPM presente su Windows 8 non sia altro che una backdoor usabile a piacimento dall’ NSA. A confermare questi dubbi sono dei documenti leakati da quotidiano Zeit Online.